Property owners living in Connecticut know first-hand just how destructive the weather can be to their homes and businesses, especially during the summer and winter months when tornadoes, floods, blizzards, and nor’easters are prevalent. 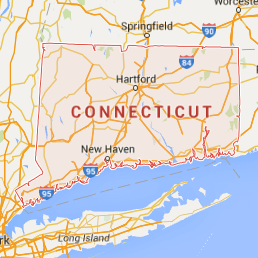 Whether you live in Connecticut, Bridgeport, or New Haven, you can count on 911 Restoration of Connecticut to provide you with around the clock, water damage restoration services, even during the most brutal winter storms. When winter settles in, and rain and snow take effect, the repair workers will be on your property within 45 minutes, ready to begin water removal service. The flood cleanup company is available 24/7/365, making it possible for customers to call us the moment they need water mitigation services. The technicians offer property owners free visual inspections, so you never have to worry about taking a financial risk when you work with 911 Restoration of Connecticut. On top of checking for water damage, the repair techs also provide mold remediation, because mold growth is a common byproduct of water damage. Prolonged exposure to mold inhalation can cause those breathing in the substance to begin experiencing symptoms that can feel similar to allergies, which is why we take mold decontamination jobs so seriously. Call 911 Restoration of Connecticut when you need water damage restoration services for your flooded basement or need a mold inspection in your business, and our technicians will give you the peace of mind you deserve. It doesn’t matter what time you need water damage restoration services, because technicians are always ready to spring into action, whether freezing temperatures cause a pipe burst or if a bomb cyclone is raging outside. During the initial inspection of the property, the flood cleanup company will take note of all the water mitigation and mold decontamination services that need to be implemented, ensuring that they address every issue right of the bat. 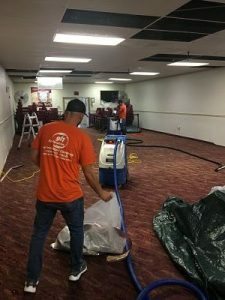 The professionals use advanced, water damage restoration equipment that includes air movers, dehumidifiers, wet vacs, vapor barriers, and sump pumps. The repair workers make sure to arrive dressed in the proper gear as well, just in case they end up discovering an infestation and need to conduct mold removal services. If a winter storm causes a flooded basement in your home or business, you should immediately call 911 Restoration of Connecticut to start pumping the water out as soon as possible. It is essential to reach out to the specialists even if you don’t see mold when you discover a ceiling water leak or a flooded basement because any increased water leads to mold and mildew growth. The mold decontamination technicians will sanitize your home in a short amount of time and inspect all the corners for your property to ensure that no spore goes overlooked. It is crucial for property owners to take a proactive role in maintaining their homes and businesses especially throughout the winter. Not only will this help to prevent the need for pipe burst repairs and water extraction services, but if an incident does occur, you can easily prove to your insurance provider that negligence was not at fault. 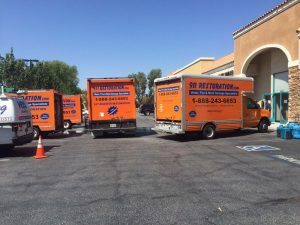 If you live in Bridgeport or New Haven and you have a question about your flooded basement or mold decontamination services, call the agents at 911 Restoration of Connecticut today! Who Do You Call For Flooded Basement Services? 911 Restoration of Connecticut received a memorable call from a customer whose basement had flooded after a winter storm had passed through Bridgeport. Due to the experience of our specialists, we were able to figure out that the snow-melt was seeping inside the basement from a crack in the property’s structure. Once they discovered the source of the leak, the repair techs could remove water from the carpet in the area. We pride ourselves on being able to tackle these types of issues, no matter what kind of weather pattern may be passing through the city. With an experienced flood cleanup company on your side, your property will be fully restored as quickly as possible. Customers can trust that the Connecticut professionals will always put their customers first and, by doing so, every property owner should feel safe when they hire us. Staff members will do everything necessary to relieve the stress of the situation, including filing your insurance claim. 911 Restoration of Connecticut has been working with all types of insurance companies for as long as they have been in business. If for any reason you are unsure about the coverage of your homeowner’s insurance, you can rest assured that our flood company will always offer affordable prices on all services. Our technicians care and understand what you need when dealing with the impact of a winter storm. So, call 911 Restoration of Connecticut when you need flood restoration services, and we will give you a Fresh Start today!